Elland Road is a character in this season’s promotion challenge drama. Its motivation is clear: to support the team back to the Premier League. Its role, though, is less defined; several pages of the script are missing or misprinted. Last time out, against Sheffield United, Elland Road was overblown and melodramatic. Pontus Jansson asked the crowd to come down an hour early for the warm-ups before “the biggest game of our lives.” Mateusz Klich said it would be “one of the most important games” and that he wished it could be an evening kick-off so Elland Road could be at its best; “under the lights would be even better.” In the end Elland Road missed its cue and couldn’t find its character, and defeat in the biggest game of the players’ lives only made the remaining eight games even bigger. As ever Bielsa took intuitive hold on a truth about Leeds United that dozens of managers and players have grasped at but missed; that the support from the terraces can be as fragile as it can be ferocious, not because the fans are fickle, but because they’re frightened. Like converting Kalvin Phillips to centre-back, Bielsa asks a lot of Elland Road, but he doesn’t expect more than it can deliver. The feeling was that, with Millwall in town, the atmosphere would need to be controlled, the game given no more hype than any other. An enormous mosaic spelling ‘Believe’ across the lower tier of the East Stand contradicted that, creating the hype the crowd had arrived ready to avoid. It was an impressive sight, gilded by one wonderfully anarchic fan waving their blue and yellow Sweden flag against the background of white cards around them. The script, though, was difficult to follow; Elland Road pinched the bridge of its nose, squinted at the word, and asked, What’s my motivation for this line? Believe. Believe? I can hardly believe where Leeds are in the table, I find it unbelievable that Marcelo Bielsa is our manager and Pablo Hernandez is our playmaker, and I can’t believe that we lost that game to Sheffield United. Do I believe Leeds will be promoted? I don’t believe I’m stupid enough. ‘Believe.’ It’s a positive message, but a more comforting act would have been raising thousands of pieces of card spelling out ‘None of This is Really Happening.’ Now, that’s a message I could believe in. Despite the crowd’s wariness, though, the United players’ reaction to their first equaliser made it obvious that they need this, and us. The start to the first half was messy and uncertain, matching the mood of the fans, everybody unsure what they were supposed to be doing. Millwall had a chance inside twenty seconds, drew a good save from Bailey Peacock-Farrell after five minutes, then scored a goal inside ten minutes. A hopeful pass over United’s defence was drifting out of play, or so Jack Harrison thought, but Mahlon Romeo raced to hook it across goal, over everybody except Ben Thompson, who headed in unchallenged. Patrick Bamford should have equalised within ten minutes after Ezgjan Alioski was tripped inside the box. One of Millwall’s defenders tried to hack at the turf beneath the penalty spot even while Bamford was standing on it, waiting to take the ball from Hernandez. Bamford shoved that defender powerfully away, then stroked his penalty gently against the thighs of diving keeper David Martin. Let this be the last we speak of Bamford’s Saturday; if he could do something right then he did it wrong, all game. Leeds just didn’t look sure, from the missed chances up front, to Kalvin Phillips being cramped in midfield, to the defenders trying to guess or teach Peacock-Farrell where they would just let Kiko Casilla do his thing. At one point Liam Cooper beckoned Peacock-Farrell out to the corner flag, and he obliged, fluffing a clearance and almost inspiring disaster. There was a conciliatory high-five between them but it was hard to tell who was most sorry. In these situations we must be thankful for Pablo Hernandez, for in these situations we’re reliant on him. He began taking charge in midfield, feeding the wings so that Alioski, Harrison, Luke Ayling and Tyler Roberts — nominally playing at number ten, but going wide under Pablo’s orders — could swing cross after cross. Harrison had one big chance, taking a backheel from Alioski that blossomed through a one-two with Hernandez into a one-on-one with the keeper from a tight angle, but it was easier for Hernandez to score himself. Leeds broke up a Millwall counter attack and countered themselves, Roberts getting the ball in the ten position but wisely ceding it to Hernandez. He passed to Klich, Klich passed to Ayling on the overlap, and he pulled the ball sharply back into the box for Hernandez to finish. It was a relief and a reset, and the players made their position clear. Jansson started at the South Stand and lapped that and the East and the North, pumping his arms, yelling for more volume, more help. Ayling took charge down the left while Phillips led the pleas to the Kop. Whatever the last result, whatever the mosaic said, the players had clear ideas about what Elland Road should do: make noise. Millwall helped. They took the lead again early in the second half, when substitute Barry Douglas lost possession high upfield and Leeds paid for continuing the disjointed uncertainty of the first half; Jansson had no choice about tracking his runner but Ayling was elsewhere, and Cooper’s attempts to switch sides and stop three attackers ended with him tripping one. Ben Marshall scored the penalty, then took a good look at the Millwall fans twenty yards to his right and decided to celebrate in front of the much more picturesque Leeds fans instead. Such inciting obviously got a reaction, and Marshall didn’t seem to mind the missiles; he picked up one bottle and used it to mime onanism, a fitting metaphor for Millwall Football Club’s entire schtick. United’s players were roused but still incoherent. Jansson whacked Jed Wallace to stop another breakaway, and his booking helped make Bielsa’s mind up; with the defence looking so vulnerable to runners, big lads at the back were less important than skilful attackers at the other end. Jack Clarke replaced Jansson, Hernandez moved into midfield, and the game changed. Where exactly Pablo Hernandez played is open to debate, and that’s one of the joys of a proper Bielstastic second half. Roberts was his clever shadow, moving to wherever Hernandez didn’t want to be, and first Klich then substitute Adam Forshaw were his personal defenders, blocking Millwall’s path away from his influence. The idea was to feed Douglas and Harrison, but their desperation to reach the byline brings with it a frustrating ignorance of crossing opportunities, until they made one they couldn’t ignore. After inching their way into the penalty area it looked like they’d passed the chance out of existence, until Harrison reversed his part in Millwall’s first goal and reversed the ball, keeping it in play with a backheel on the byline. 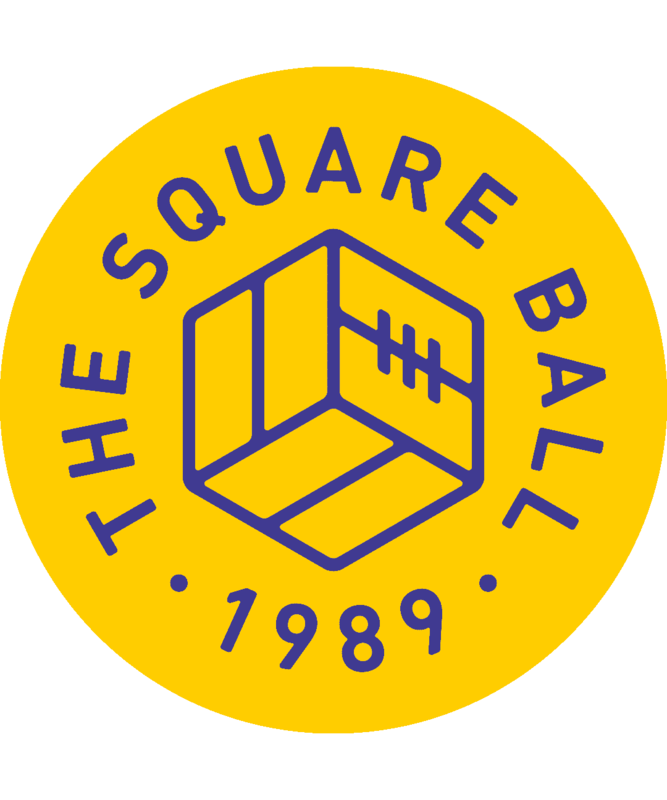 Douglas had one option, and with his fabled left foot lifted the ball into the six yard box, where of course it was Leeds United’s right-back Luke Ayling rising like Ian Baird to power a header home. More exhortations for support followed, but all Elland Road could do was keep roaring its approval for Hernandez. Often he left even his own players watching; collecting a short corner, he attempted to dribble past Millwall’s defence and score himself, like an ex-pro in a friendly five-a-side game annoyed at being on the losing team, determined to save the score himself. The winning goal exemplified his influence. Demanding the ball deep in midfield, he swung it wide to meet Harrison’s infield run. A touch and a pass sent it wider to Roberts, who has the soft feet required to get around Millwall’s hard heads. From the byline he slid the ball low into the six yard box; Hernandez, after setting the machine in motion, had watched for the gap he finally ran into, sliding in front of Ayling and scoring behind the back of the keeper and two defenders. 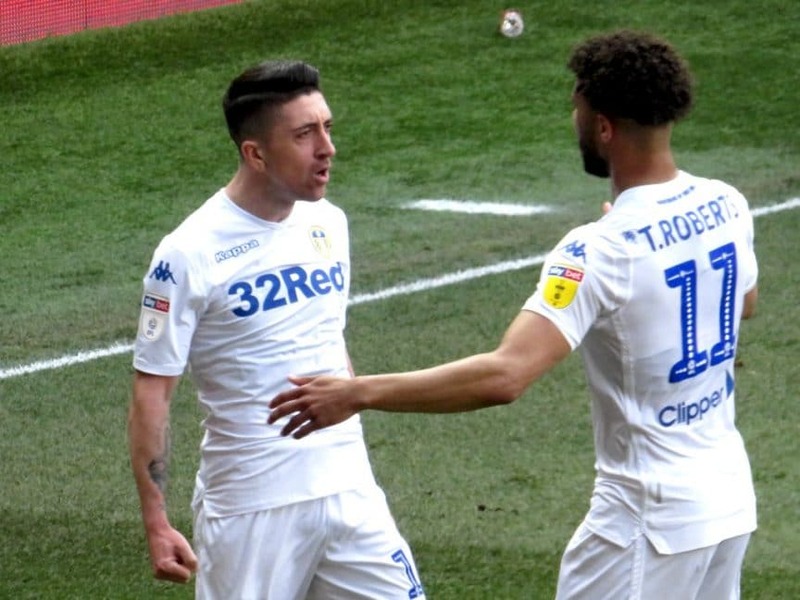 History will record the 83rd minute, when Leeds went finally ahead against Millwall and Sheffield United simultaneously went finally behind to Bristol City, as a critical moment of hope in the season, but it wasn’t recorded that way inside the ground. Elland Road was too busy untangling limbs from amid smoke bombs, fireworks, and a deafening, unscripted, untranslatable howl. Then it was too absorbed in tension; Millwall brought on Steve Morison and Tom Elliott, in theory combining with Lee Gregory to form a powerful strike force against United’s single remaining centre-back, in reality no more effective than three lads trying to stop a firework display with cups of water. Morison’s most meaningful part in the match was while warming up, when the fourth official left the technical areas to give him a lengthy lecture for antagonising fans at the front of the West Stand; his defence seemed to be that he was doing nothing but existing, but that was exactly his guilt. At full-time Morison walked directly down the tunnel without acknowledging either friend, of which he has few, or foe; manager Neil Harris, after a perfunctory handshake with Bielsa, followed straight after. Whatever Elland Road is for, it isn’t for them. The impact of Sheffield United’s defeat wasn’t felt until after full-time, after the first page of Championship results, without theirs, was read from the scoreboard. The reaction in the crowd when the screen changed and the score was seen was like a fourth goal for Leeds; and on the pitch. Ayling marched through his lap, not thanking the crowd but glaring at them all, gritting his teeth then shouting, his right fist held in front of him at all times as if he was dragging Steve Morison behind him on a chain.